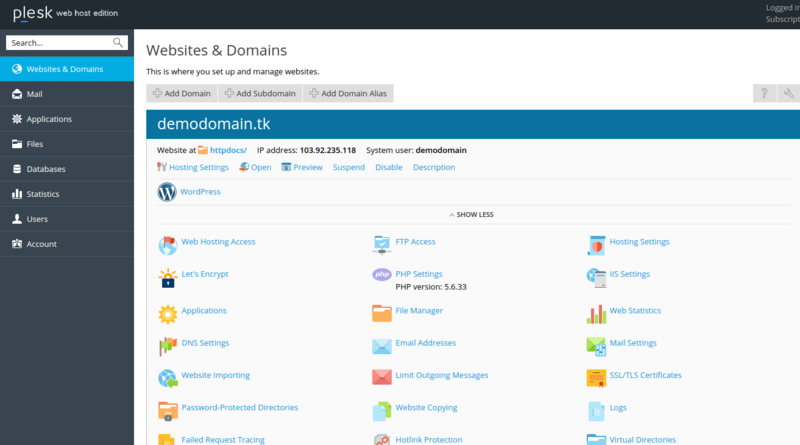 How to add DNS record in Plesk panel? 1. Login into Plesk with the credentials. 4. Select which record to add from the drop-down menu & Add Ip address and domain name. 5. Click on OK and the values will be saved. How to add the web users in Plesk panel for Windows?